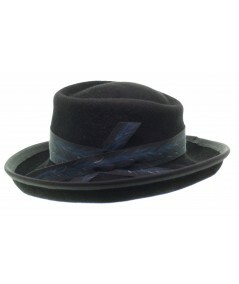 A womens version of a gentlemans hat. 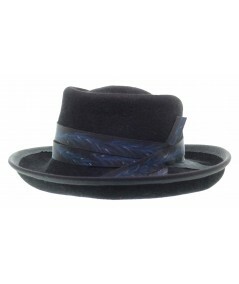 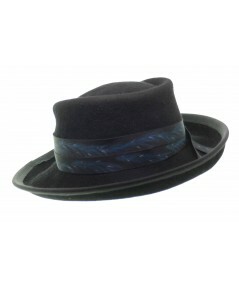 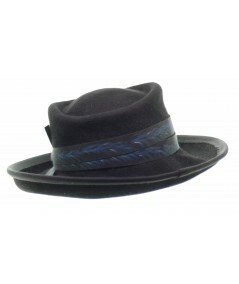 This is a classic mens fedora with a grosgrain binded edg. The trim for the hat is a hand painted ribbon with a feather like design. 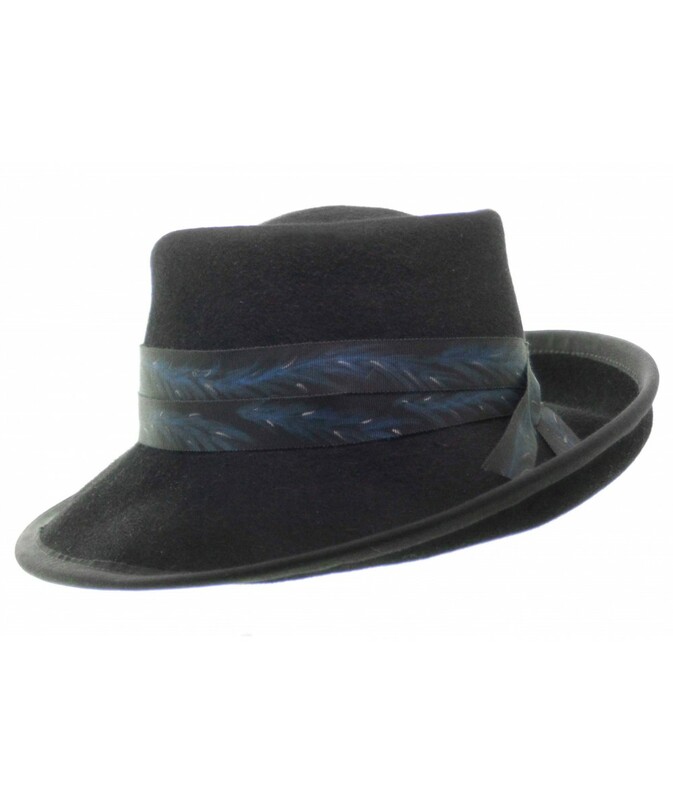 It’s a romantic style that is sure to catch a gentleman's eye.